Artist’s rendering of the Gateway Lofts project upon completion. 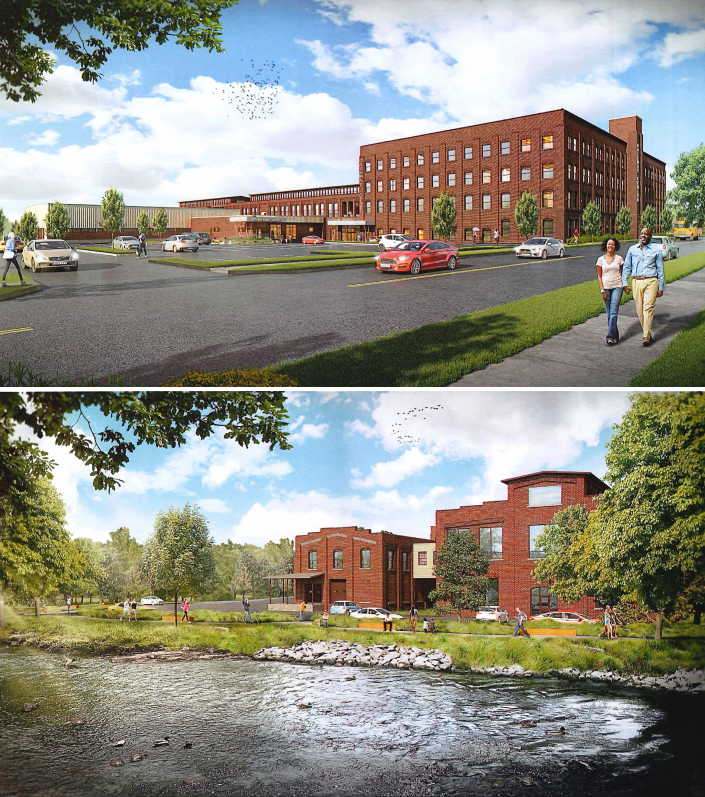 JAMESTOWN – The Jamestown Planning Commission has set a date and time for a public hearing involving the proposed $34 million Gateway Lofts project. The hearing was agreed to following the Sept. 18 Planning Commission meeting, when members felt more details of the project need to be provided and all concerns heard before any commission action takes place. The housing development at the Gateway Center building on Water Street in the city is being proposed by Southern Tier Environments for Living (STEL) and Community Helping Hands. The development is described as a multifamily, affordable housing project that would include 70 housing units over three stories of the Gateway Center building, which was formerly the long-time home of the now closed Chautauqua Hardware manufacturing business and currently houses several local organizations, including St. Susan Center, Community Helping Hands, Love Inc., and the Mental Health Association of Chautauqua County. Of these units, 39 would offer affordable housing options, 16 would go to single-parent families assisted by the YWCA, and 25 units administered by STEL would be designated for non-violent individuals who are homeless and have a serious mental illness or a substance use disorder with a history of criminal offending or are at risk of offending. According to the developers, support for the project has been given by several local officials, including Gov. Andrew Cuomo, Sen. Catherine Young, Assemblyman Andrew Goodell, County Executive George Borrello, Deputy County Executive for Economic Development and IDA director Mark Geise, Sheriff Joseph Gerace, county Health and Human Services Director Christine Schuyler, and the Homeless Coalition. The planning commission is required to review and approve planning documents for the project to make sure it is not in violation of any city codes or law. If the project is found to violate city code, it would likely have to go before the zoning board for its approval. The public hearing will take place at 6 p.m. on Tuesday, Oct. 9 in the city council chambers. No action by the commission will take place that night, though it is scheduled to meet the following week on Oct. 16.